The chocolate lava cake from Chocolate Origin is decent, but not extraordinary. However, there’s really nothing to complain about when it is only $5. It is worth a try if you want a quick fix in town. 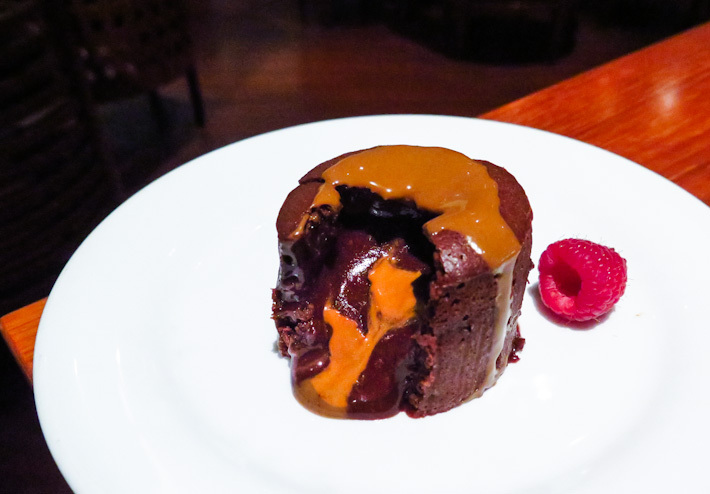 Only two words to describe Chili’s Molten Chocolate Cake ($15) – gigantic and immensely satisfying. 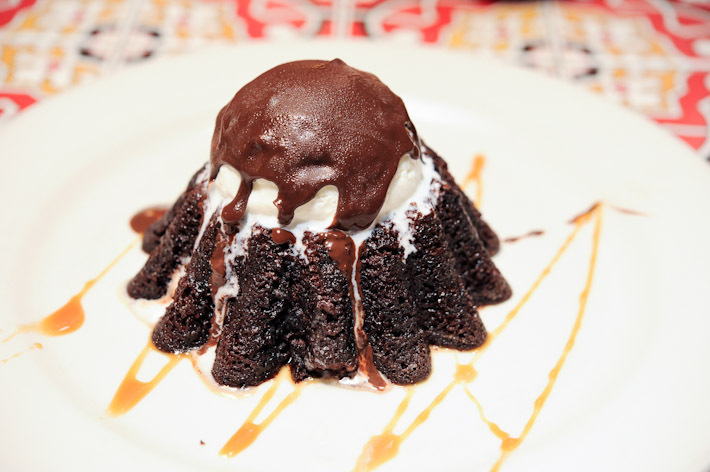 If you love chocolate lava cake, you must try the one from Chili’s. It is not a secret that Ember at boutique hotel 1929 has one of the best set lunches in Singapore. 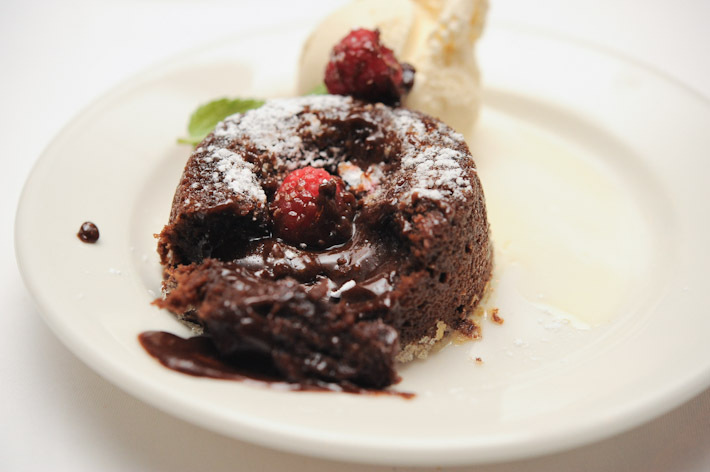 But what many do not know is the restaurant also does a very good Chocolate Molten Cake ($14). Absolutely brilliant. 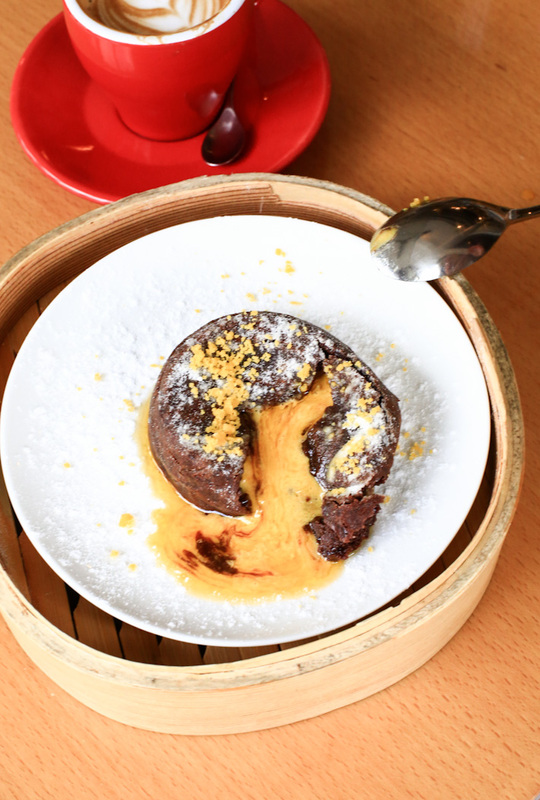 A molten chocolate lava cake with a salted egg yolk custard center… This tastes as good as it sounds; it makes you wonder why other places did not come up with this wonderful creation. The only reason why we would travel across Singapore and go all the way to La Cantina in Changi for a meal – other than to have the signature crabmeat linguine – is the Chocolate Lava Cake ($9.50). This should speak volume of how good it is. What else do we need to say? The picture above tells it all. Max Brenner’s Chocolate Souffle ($16) is sinful, and so damn good. Definitely one of the best in town. mezza9 has a slew of delicious desserts – such as banana & nutella crepe (S$15), stone fruit tart (S$17), and pink lady apple tart (S$17) – but our favourite is definitely the Chocolate & Praline Fondant, which comes with a scoop of caramel ice cream. At $30, Morton’s legendary Hot Chocolate Cake is not cheap. And of course, many people will be put off by the price. Is it really worth paying $30++ for a chocolate lava cake? As compared to most places that only charge $15 tops, it sets all wondering if in direct proportion, is Morton’s rendition truly twice as good? Morton’s version is, hands up (pun intended), one of the best, if not the best chocolate lava cake you can get in Singapore. Yes, you heard us right. Hall of fame standards. It is that good. MUSEO is an enchanting restaurant that sits on the mezzanine level of Quayside Isle at Sentosa Cove that works perfectly for all occasions. By day, the restaurant is filled with sunlight and the chinaware glistens like gems; by night, the low-light setting calls for a romantic dinner for two. If you are looking for a place to have afternoon tea with your girlfriends, MUSEO is just the place to go. 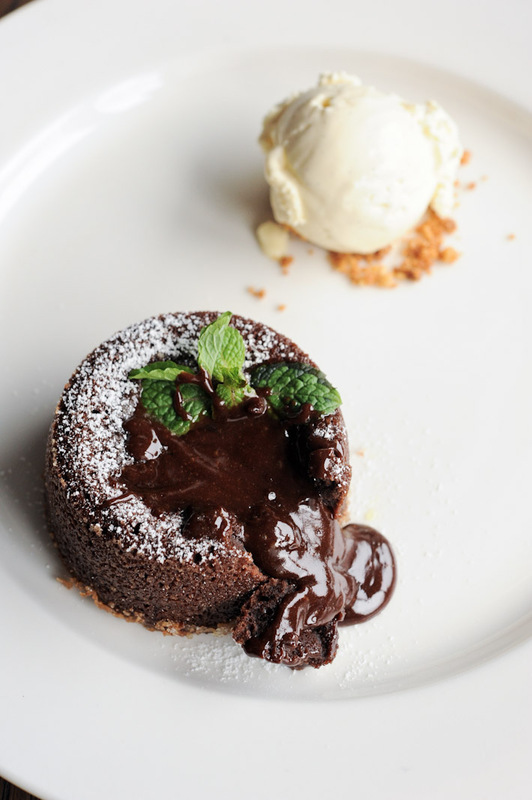 Get the Vodka Chocolate Lava Cake (S$13). It is a true crowd-pleaser, and worry not, that amount of hard liquor ain’t enough to get you drunk. 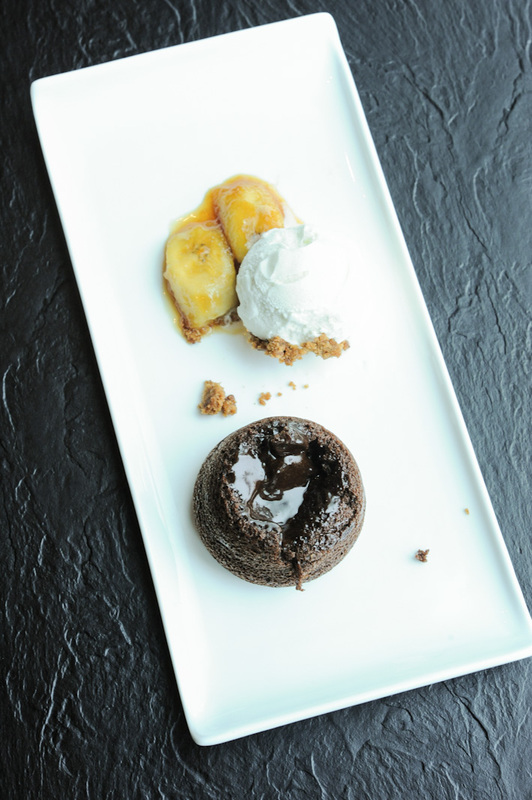 MUSEO’s vodka chocolate lava cake is also listed in our guide to the best chocolate lava cakes in Singapore. Over at Osia Resorts World Sentosa, they serve a slightly different rendition in the form of a soup. Yes, that’s right, a CHOCOLATE SOUP! Osia’s Hot Chocolate Soup ($22) is one of the signature items on the menu. For regulars, it is a must-order dessert to end the meal, while we know of many new customers come to Osia just to try this. Quayside Fish Bar is one of our go-to places for good quality seafood in Singapore. Besides daily fresh imports of wild-caught seafood and fish from different parts of the world, Quayside Fish bar also serves excellent desserts. 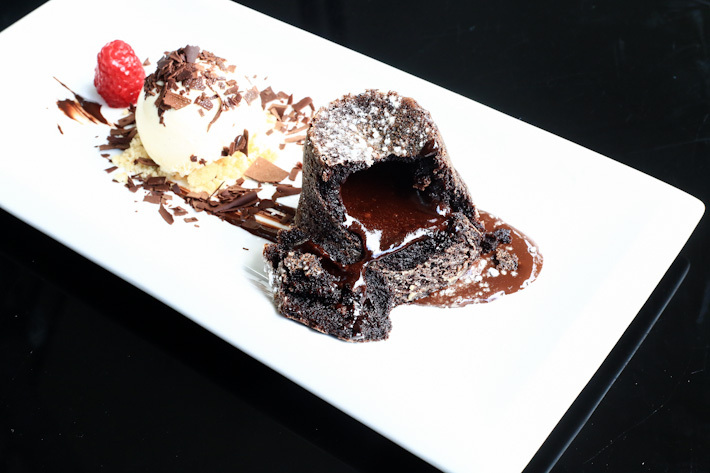 In particular, we love their White Truffle flavoured Chocolate Lava Cake (S$12). 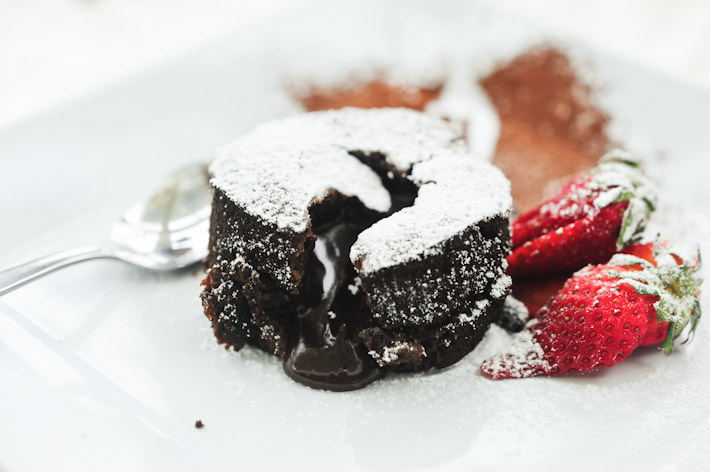 What makes the chocolate lava cake here different from the rest is that it is lightly drizzled with truffle oil, giving it a distinctive and pleasing scent. Relish’s Dark Lava Chocolate Gateau ($12.80) – which comes with flambe banana and vanilla ice cream – always hits the spot. This may come as a surprise to some, but The Connoisseur Concerto does a very good Dark Chocolate Cake ($11). 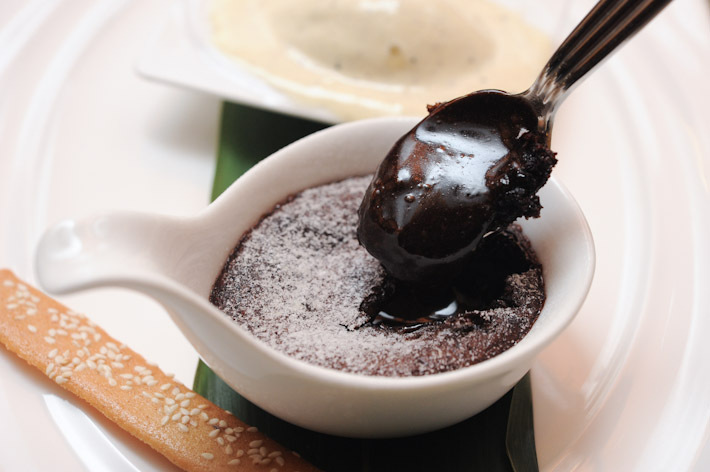 In fact, we’d go so far as to say that it is among our top 5 chocolate lava cakes in Singapore. If you are a regular, be sure to try it next time. Wimbly Lu is one of our favourite places for desserts. They have an impressive selection – such as the popular waffles and root beer float cake – but what we will go back for again and again is the Molten Lava Cake ($6). Wooloomooloo Steakhouse’s Hot Chocolate Cake ($25), also known as the sore-throat inducing dessert, is one of best in town. It is pricey for a dessert, but trust us, it’s worth every cent. 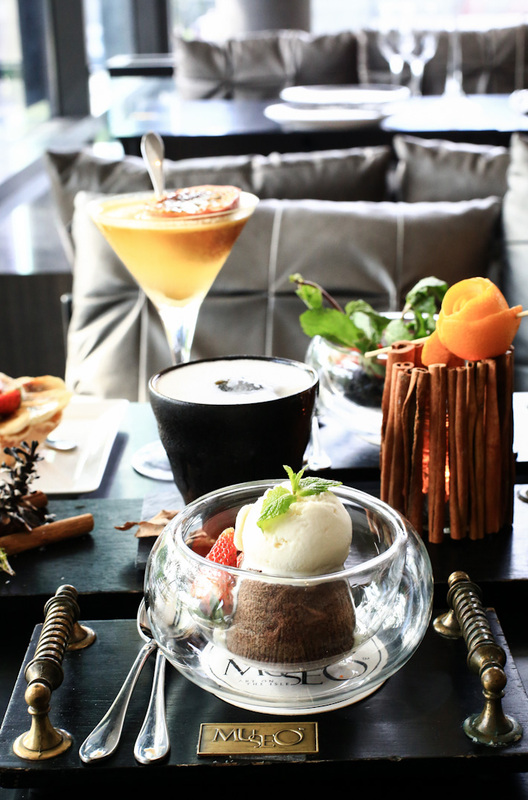 For more recommendations, read our guide to the best desserts that you must try in Singapore. What about smoulder? Its a new place that has lava cakes in every flavor from white chocolate raspberry to lemon. You can take them home and heat them up in your own microwave to get them good and gooey. I’ve not tried it yet but its on my food agenda! That’s a lot of chocolate lava cakes! Well done as always! oh! and they have nice pastas and main courses too! Would like to include the one from Pasta Brava at Craig Rd. Simply heavenly..
my favorite will be 2am dessert bar at holland village! @ Lavacakelover: Yes, Smoulder has pretty good lava cake too. I’ve tried it a few times, and it’s of course best when fresh. Pretty good value for money, for peeps who’re on a budget, but looking for good lava cake. Just tried the Lava Cakes from Smoulders at Raffles City, lots of flavours to choose from, definitely a thumbs-up for lava cakes!! 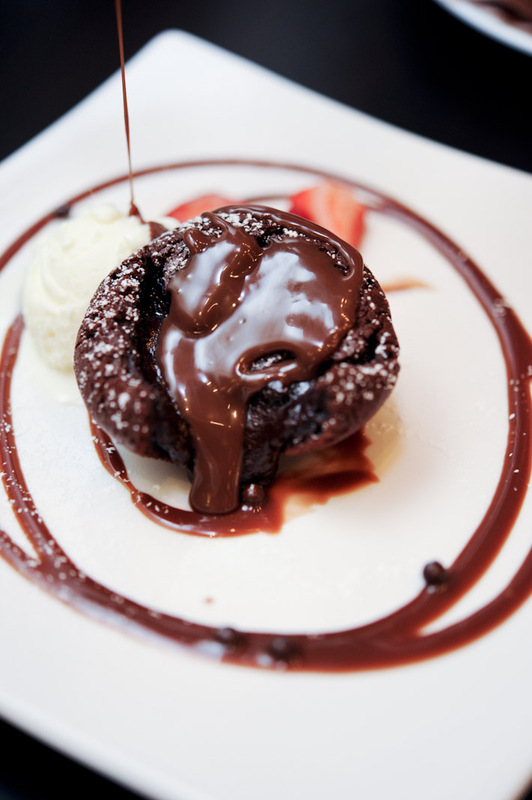 Dan Ryan’s Chicago Grill have the best lava cake. 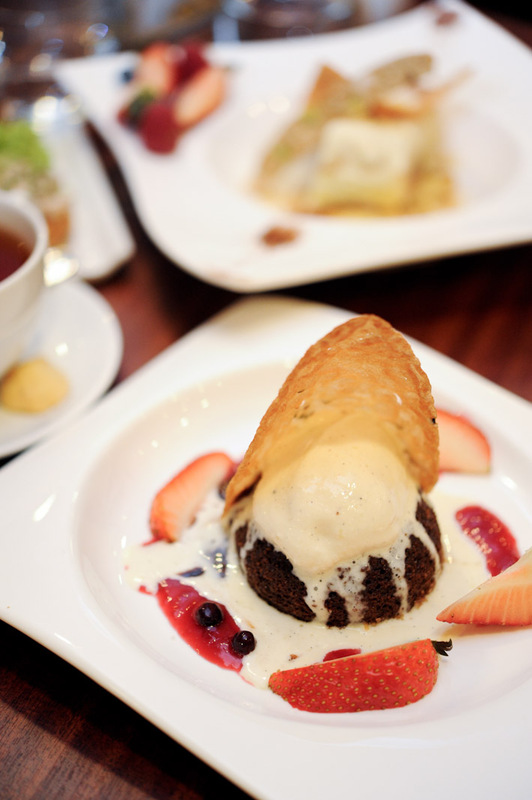 They are located at 91 Tanglin Road, #B1-01 which is the best lava cake in town. Runny and ozzing chocolate yummy. One good “budget” alternative is the Chocolate Lava Cake ($6.80 on its own, $4.80 when ordered as a dessert with any main meal purchase) from Domino’s Pizza. 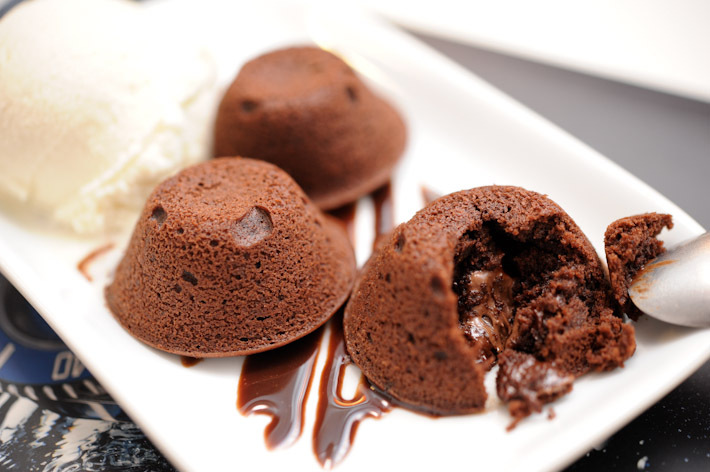 For a fast food restaurant, the chocolate lava cake is comparable to those found at TCC and Max Brenner’s. Top it up with your own ice-cream, and you’ve got a dessert you’d smile about afterwards. chocolate lava cake from wine connection at robertson quay is also really good! Only at $6, that quality of lava cake is totally worth it! Much better than the Chocolate origin and the one from NYDC that costs ard $10.50 if I remember correctly. You MUST try the chocolate lava at North Border Bar & Grill, at 2, Rochester Park. It comes with vanilla ice cream, which you could add their very delicious chilli, and or, their Bailey’s ice cream. Excellent dessert! Poppies at East Coast has the best imho. My son who’s really picky about his food, let alone desserts, loves it. If it can pass my son’s taste buds, it is definitely good. Went to Bakerzin at Paragon for their signature Warm Chocolate Cake which turns out to be a complete disappointment. Even someone with a sweet tooth cannot tolerance the MEGA sweetness from the choco lava + sponge cake and also the MEGA sourness from its rasberry, strawberry , blueberry. I’m a strawberry, blue berries and chocolate lover but sadly this is so HORRIBLE to the extend that i ordered 3 glass of ice water just to force eat the cake so that i don’t waste food. After informing the service staff she checked with the chef and revert back that this is how their ORIGINAL cake should taste like and offered to waive off the cost of the 3 glass of ice water & 1 glass of warm water i ordered (worth $1.20). I’ve tried the same cake at vivo city more than few times (about 1-2 years back) and it does TASTE GREAT else i wont consider it as 1 of my fave and MUST have whenever i went to vivo outlet for dinning. I’ve been to Paragon twice, both occasion it have disappoints me (1st time is their pasta, 2nd time cake) both visit in Feb 2015) thus i will never visit this outlet again. you should try morganfield (star vista) lava cake too! It’s my favourite!